Our ‘best of’ list of the individuals who make the largest impressions. 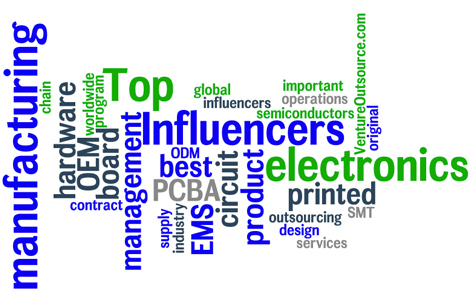 WHO ARE THE TOP PEOPLE influencing the electronics manufacturing services (EMS) industry the most and how exactly do you define influential? Making this list is not an easy process. Does ‘influential’ mean the best or brightest people who manage OEM in-house builds; contract their product programs and operations with EMS providers, move markets or control the most MCOGs; impact consumers, inspire others or create debate? In one word, yes. Not just anyone can accomplish a task to create a list of this magnitude, but we felt we could rise to the occasion. In the process, we reached out to dozens of colleagues and asked for input and suggestions as we created our ‘best of’ list of individuals who make the largest impressions. Several people contributed to helping us create and organize this list. The result is our list of 100 EMS influencers recognizing academicians; service providers, entrepreneurs, executives, law makers, investors and many others who are leading initiatives or influencing electronics manufacturing operations in some way to also influence and prepare clients; organizations, industries or nations to make better decisions to meet the challenges facing today’s technology decision makers. Although our decidedly un-scientific list is organized numerically, in assembling this list we focused more on who is and is not included for the sake of diversity. But even a list of 100 can leave room for desire. We hope you enjoy this collection of influencers affecting the global EMS industry. If you have any suggestions we welcome your comments. Based in Silicon Valley, Douthit is a logistics and supply chain executive with Accenture and expert in reverse logistics, a growing market for EMS providers as the trend for full service EMS and ODM offerings includes more high margin back-end supply chain services. Douthit has 20-plus years in third-party logistics; sourcing and procurement, warehousing and repair operations, service parts logistics and contract electronics manufacturing. Part of Douthit’s expertise involves helping companies understand the total landed cost of returns. Hocherman is president of American Innovative, a growing consumer technology products company Hocherman founded based on the concept of bringing products to market that should exist, but don’t. Following online publication of a very detailed and personal written account of an EMS experience in Asia Hocherman had while contract manufacturing one of his firm’s products, we’ve heard from countless tech product entrepreneurs that it was not until reading Hocherman’s article they felt inspired (with much improved confidence) to set out and fulfill their own dreams of bringing their tech products to market. On behalf of everyone we talked with…thanks, Adam. Based in Norway, Husdal is a respected voice of reason on supply chain infrastructure who actively blogs on issues that connect supply chain risk, business continuity and transport vulnerability. When not set up or working properly, infrastructure is one of the key components causing EMS supply chains to falter, especially in emerging EMS regions or areas with political instability. Husdal regularly posts matter-of-fact reviews to his husdol blog domain on papers, books and websites dealing with infrastructure risk that will give any EMS supply chain manager reason to pause. Tompkins is founder, president and CEO of Tompkins International. The firm has been around for 35 years and has a technology and electronics practice. Tompkins views shareholder value as being driven by profitable growth, margin improvement and capital efficiency with all three of these having a tremendous impact on the way supply chains are designed, executed and managed. Tompkins has published an interesting top ten list of issues and opportunities technology companies often face that is worth reading. A prolific speaker, Tompkins has spoken at more than 4,000 international engagements. Stromberg is executive administrator at the Surface Mount Technology Association (SMTA). To Stromberg’s credit SMTA has grown to become one of the most prominent volunteer-driven organizations serving the worldwide electronics manufacturing industry. With focus on electronics research, packaging and manufacturing at some SMTA conferences, under Stromberg’s direction, SMTA has also discussed outsourcing, EMS vendor management and has begun incorporating some information on EMS industry research, leadership and program management techniques in SMTA conferences and programs, as well. Lee is director, purchasing / global materials and supply chain at AsteelFlash Group. A long-time procurement specialist with nearly 20 in purchasing and supply chain management with half that time devoted to the EMS side of the equation, Lee brings to AsteelFlash Group, and the EMS industry, an history of understanding regarding the concerns and specific material issues in the supply chain important to both OEMs and EMS providers. Free is founder, president and CEO at MFG.com, the largest global online marketplace for the manufacturing community connecting buyers and suppliers of manufactured products from around the world. While the dollar value of the majority of manufacturing engagements in Free’s manufacturing platform involve casting, molding and fabrication the site’s business does have a relatively small dollar value level of activity related to electronics manufacturing / EMS. No one can deny Free is a visionary leader. China’s electronics industry is moving away from assembly of low-end technology products to the design and manufacture of higher value-add products. With China’s electronics market growing, innovation from Chinese companies requires design and sourcing support at basic circuitry levels. This means increased knowledge demand for passive and electromechanical and discrete components. In steps Michael Lie, CEO with Electronic Components Technology Network offering program networks, circuit protection and electromagnetic compatibility seminars, energy-saving design workshops and more, all to help Chinese design engineers (hobbyists, OEM, EMS, ODM) innovate and improve efficiency. Dieter Bergman & David Bergman both belong somewhere on the list. Their impact on global standards and training make them top 10 candidates. Great list, plenty of room for debate and lively discussion. As a representative of Indian electronics manufacturing industry, I am really happy to see the names of a number of Indian industry leaders in this list of worl leaders. I am specially happy to see names such as Mr T Vasu (ELCINA President), Mr Sunil Vachani and Mr Ranga who have contributed greatly to development of the EMS industry in India. I agree, Vijay. India has a lot of good people who made the list. If the nation's electronics industry organizations and domestic EMS sector companies can learn to work together and remove elements of corruption in the form of bribes and illegal incentives/favors there is good chance India's EMS industry will effectively attract the type of investment interest needed to enable India to compete with China more easily in the coming years. Just a couple of the many things India has working for it currently is its large English-speaking population and the fact India is considered the largest democracy on earth. How come Mike McNamara (FLEX) is not included or Zetter, the site is his vision? And how did Sue Mucha make the cut?! At FedEx, Williams manages business services and strategic sourcing for the global delivery giant where Williams is responsible for sourcing more than $700 million annually in enterprise services. With more than 28 years experience in supply chain development, sourcing and procurement, Williams has provided leadership for multiple sourcing initiatives across diverse commodities and services. Chkliar owns Electronics Publications, an online resource for hosting, distributing and purchasing original reports and research on various segments and sectors in the worldwide electronics industry compiled and written by numerous qualified sources and firms. With Chkliar, visitors always see a good variety, and number of, reports available focused on EMS. 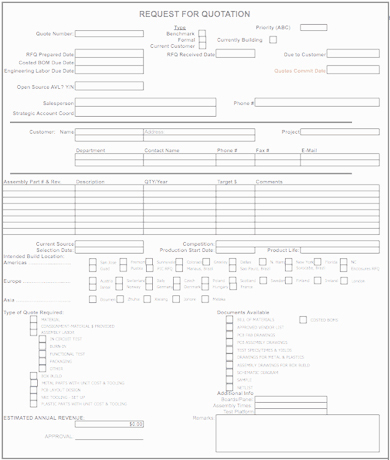 There is also a free company directory containing some EMS companies. Schindler is COO with German SMT equipment manufacturer SIPLACE, an innovator in the technical assembly side of the EMS industry. Under Schindler’s leadership the Company has emphasized a clear focus on coordination between its R&D group and manufacturing in what Schindler refers to as the lead factory principle. Where many organizations de-couple R&D and manufacturing, Schindler promotes the two groups working side by side in proximity to one another, geographically. Literally. This allows R&D to easily leverage the manufacturing arena to better educate the Company’s R&D teams to then enable SIPLACE to continually improve product innovation and performance and meet constantly evolving electronics OEM and EMS end-user market requirements. 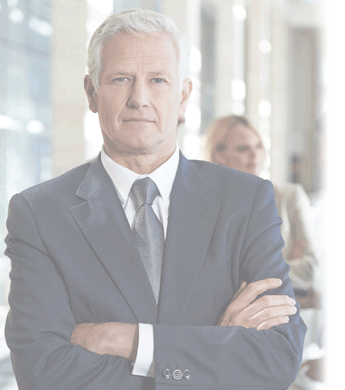 Here’s an executive not new to supply chain management accolades. Smith earned the award for supply chain executive of the year at SCM Logistics World 2009. That same year under Smith’s leadership, Lenovo also won an award for supply chain excellence which applauds innovation and superior execution in supply chain management. Who said the apple doesn’t fall far from the tree? You can see why Lenovo appointed Smith senior vice president of global supply chain where he is responsible for end-to-end supply chain management encompassing order management, supply / demand planning, procurement, manufacturing and logistics. Senior director in global procurement with Harman International, Davenport adds an OEM production operations perspective, with P&L responsibility and managing manufacturing cost models, plus oversight with EMS and ODM contract negotiations, to his long list of qualifications supporting Davenport’s understanding of global procurement and optimizing supply chains. Lewis is director of procurement and sourcing solutions with IHS Global Insight. A trained economist with a mathematical influence focused on purchasing into supply chain requirements and forecasts, Lewis understands the relationships between developing tools for supply chain procurement strategy and execution and then meeting the needs of executives for better decision making across the enterprise. Based in Hong Kong, Rowbottom is operations director with Mantis Electronics specializing in purchasing and supply chain management for the European market. Working primarily with small- to medium-sized organizations, Rowbottom helps with their electronics product sourcing and purchasing needs, design for manufacturing and test and NPI all through to surface mount production volume runs. Casey is founder at PCH International. Casey’s firm provides outsourcing operational expertise for supply chain management solutions in Asia / China. His firm focuses on outsourcing of consumer electronics products and serves the entire technology product supply chain; from concept and branding to product delivery, including design and engineering, sourcing, manufacturing and inventory management and fulfillment. PCH also offers a number of proprietary tools to help clients manage their outsourcing engagements. Yap is chairman and CEO of YCH Group, Singapore’s leading end-to-end supply chain operations company providing supply chain management solutions spanning the entire Asia Pacific region. Yap is also a council member with the Singapore Business Federation. With more than 30 years of experience in logistics and supply chains, as the world has become more dynamic – especially in the Asia Pacific region – Yap recognized early on the importance of building stronger and more capable supply chains, and that people must rely on one another to do this. It is this type of thinking which lead Yap to become a strong endorser of personal professional development. Yap constantly encourages young professionals to grow by knowledge sharing through networking. Baggio is senior director of purchasing for the APAC region with multinational lighting manufacturer Osram’s Asia Pacific division. This executive knows corporate procurement. With spend responsibility canvassing 12 manufacturing facilities in 6 countries, Baggio has accrued an impressive amount of materials supply chain management and leadership expertise including management of ODM and EMS finished product hubs. Cohen, a certified fellow in production and inventory management by APICS, is one of the leaders of operational excellence consulting firm PRTM’s worldwide supply chain innovation practice. A book, titled: ‘Strategic supply chain management: the five disciplines for top performance’, which Cohen co-authored with fellow PRTM colleague Joseph Roussel, has become the industry bible for supply chain management practitioners. Cohen has assisted numerous management teams in redesigning their processes for dramatic improvements in productivity; increasing production flexibility and customer service levels, and greatly reducing inventory investment. Cohen is also founding member of the Supply Chain Council and one of the original developers of SCOR, the supply chain operations reference model. DeWaters is president of Penumbra Strategies. If you’re an EMS provider and you’re new to defense or you want to get involved in defense, we can’t think of anyone more suitable to talk with than DeWaters, a seemingly permanent fixture in many prime contractor factories and EMS provider facilities serving the defense electronics end market. This non-traditional EMS sector is growing at a faster CAGR than the overall worldwide EMS market and its one reason many EMS providers not currently serving defense want to become qualified. Robert Freid has a consulting practice on electronics manufacturing services. He once worked in the electronics manufacturing services industry support manufacturing and program management. Robert has written several articles on outsourcing electronics and he has presented talks on the subject of contract manufacturing. A senior partner with Boston Consulting Group (BCG), Sirkin oversees the firm’s operations practice. His depth of knowledge and scope of understanding of global supply chain operations is impressive by any metric. Sirkin has co-authored several BCG reports including ‘Capturing Global Advantage’ (2004), ‘Globalizing R&D: Knocking Down the Barriers’ (2005) and ‘Globalizing R&D: Building a Pathway to Profits’ (2005). His recent BCG report titled: ‘Made in America Again: Why manufacturing will return to the U.S.’ (2011) was co-authored with fellow BCG colleagues Michael Zinser and Douglas Hohner. Chan is enterprise supply chain director for Western Europe at Huawei, the Chinese networking equipment giant. Chan has been with the company since 2005 and has steadily climbed the managerial ladder from his first position with the Company as a senior logistics specialist to become a major supply chain thought leader in Europe. Chan’s focus is on design and developing European logistics / supply chain network and strategy. Chan oversees logistics, EMS and service provider management, budget and cost management for Huawei’s European region. We’re betting that as Huawei’s business continues to expand and requires delicate supply chain and supplier adjustments with careful fine-tuning Chan will continue to rise to the occasion. Myers is a jack-of-all-trades. Over the years, the former furniture maker, realtor and Texas-based pastor has simultaneously offered electronics industry recruitment services in the name of his EMS industry search and placement firm Step Beyond, where Myers devotes most of his time and energy today. Myers also stays active with his industry Linkedin group. Founder and principle at Charlie Barnhart & Associates, this consultancy run by Barnhart focuses on EMS industry best practices and strategy while also serving up some original research. Barnhart offers a seminar designed to highlight best practices on EMS global pricing methodology plus an outsourcing navigator classwork series taught for the benefit of both EMS and OEM companies. Dickinson, an attorney with the law offices of Harris & Moure, co-authors the ‘China Law Blog’ with fellow H&M attorney, Dan Harris. Dickinson is based in Qingdao, China where he speaks and writes Mandarin Chinese fluently. The majority of Dickinson’s practice primarily serves foreign companies that engage in business dealings in China. Dickinson’s focus is on international and China corporate and commercial law; international and China intellectual property protection and technology licensing law, China law, and China outsourcing law. In 2011 Hartikainen resigned from his roles of both president and CEO at European EMS provider Elcoteq amid the Company experiencing financial distress. At one time, Elcoteq held promise in the EMS industry under Hartikainen’s leadership because of Elcoteq’s unique EMS model dedicated to serving mobile and handset markets. While not currently involved in EMS directly, Hartikainen is included in our 2012 list because at the time when EMS providers were diversifying and forging into various new markets – incorrectly leading many EMS providers to lose their focus – Hartikainen cut a new path in industry and narrowed his Company’s focus to leverage deep internal expertise in telecom. It also important to point out that during Hartikainen’s leadership at Elcoteq a few EMS providers we talked with, then, also wondered if they too should follow with a similar narrow service offering. Tiso is vice president worldwide hardware, software and service supply chains at Citrix Systems. At the forefront of the cloud computing wave, Tiso, a 20-plus year veteran familiar with OEM-EMS engagements, has extensive experience managing all aspects of outsourced supply chains with global EMS partners. From sourcing and NPI to predictive manufacturing cost modeling; materials management, cost reductions and reverse logistics, there’s probably very little Tiso has not seen. Tuck is publisher of ‘Manufacturing Market Insider’ (MMI), a subscription-only, eight-page monthly newsletter available online or in print covering global electronics outsourcing and EMS with each issue containing an original cover story, feature articles, industry news and more – all written by this EMS industry veteran. Tuck also compiles and publishes an annual list of the top 50 EMS providers based on MMI’s ranking methodology. Corbett is a global sourcing and contract agreements professional currently in charge of supply chain optics sub-contracting at Goodrich. 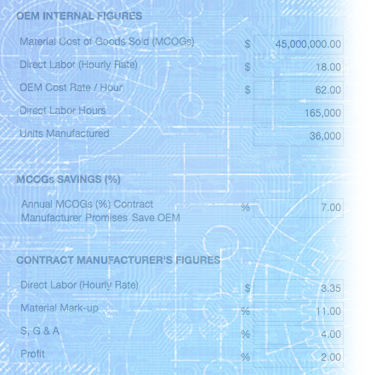 With a strong career background in global PCBA / commodity / COTS sourcing and solid skills in EMS supplier evaluations and EMS program management; price negotiations, and manufacturing operations environments, Corbett has seen both sides of the fence and is likely to anticipate / root cause problems before many others might, making Corbett a valuable ally for primes, OEM or EMS employers focused on cost containment and managing the fine balance between productivity and quality. Chalgren deeply understands the issues and complexities of DfM when manufacturing technology products. Chalgren spent nearly 10 years in this exact environment before later moving into software product development designed to solves problems manufacturers face. Today, as vice president product management and strategy with Arena Solutions, Chalgren is responsible for charting Arena’s product roadmap and helping OEM and EMS providers better understand how and when components that make up the final product come into the assembly and manufacturing process and their relative impact on purchasing and inventory availability. If your tech product shipment was delivered on time, and without expedite costs, there’s a chance Chalgren had a hand in it happening this way. Based in China, Xu is global components commodity director at GE Energy Power Electronics. A disciplined team player with a good deal of knowledge in managing product program migrations across borders, Xu has considerable understanding of the various segments of technology supply chains whether its BOM development and NPI to manufacturing processes, international trade and logistics, all further enhanced by solid sourcing; inventory management and cost analysis capabilities. Cui is vice president and secretary general of China Federation of Logistics and Purchasing, the only comprehensive community organization of China’s logistics and purchasing industry approved by China’s State Council. With previous experiences with China’s State Council; State Economic and Trade Commission, and National Development and Reform Commission, Cui has solid understanding of China’s macroeconomics, and influences thereof, as well as how logistics and purchasing should develop and how their respective roles play into being key components in any successful organization where procurement and distribution hold true. Verboon is director of strategic sourcing ODM, EMS and displays with Avaya. Based in Singapore and accompanied by an engineering background with a long history of purchasing, Verboon has an eye for details with an understanding (based on real experience) with numerous OEM-EMS/ODM partnership models. In short, Verboon understands the granularity of the EMS industry enabling him to make informed assumptions to successfully guide Verboon in his decision-making. Combs is well equipped in managing OEM-EMS relationships. A global supply chain manager at Lucent with responsibility for EMS operations and OEM-EMS contract management, Combs has seen quite a bit over the years when it comes to product transfers and effective management of external manufacturing operations with EMS providers and other supply chain vendors and their relationships. Senator Levin is current chairman of the Senate Armed Services Committee. In 2010, Sen. Levine’s committee investigated counterfeit electronics components finding their way into systems manufactured and assembled by EMS providers and defense primes and used by U.S. military personnel. The committee evaluated 1,800 cases of suspected counterfeit electronics parts. Staff then chose more than 100 of those cases to trace back through the supply chain resulting in greater than 70% of those cases leading to China. Surely, defense electronics is not the only end-market being manipulated by brokers and sellers of counterfeit components. Regardless, such findings are only the tip of the iceberg and are enough to cause any reasonable components buyer to heighten their due diligence with vendors and suppliers. We applaud Sen. Levine’s sense of urgency and determination for combating any counterfeit component in any supply chain. TIME Magazine named him one of America’s 10 best senators. Zhang is executive chairman and CEO of Skyworth Digital Holdings, which is a leading Chinese TV manufacturer based in Shenzhen also focused on high-end digital products and upstream components like LCD screens. In 2001, when Zhang joined the group he was responsible for overseeing business operations and strategy implementation. Today, Zhang leads with a distinctive strategy that includes supply chain management principles with a solid commitment to execution further emphasized by Skyworth having logistic centers across China: Shuangliu, Chengdu; Yichun, Jiangxi and Lishui, Nanjing. Zhang believes that being competitive and successful in today’s marketplace has more to do with the Company’s entire supply chain team working together which only then can determine the competitiveness of the final product. Zhang’s supply chain insights have impacted the perception, and the importance of, supply chains in the eyes of numerous other Chinese electronics industry executives. According to research firm Strategies Unlimited, 10 companies accounted for more than 68% of the worldwide LED supply in 2011. Philips Lumileds is one of them. Glastra, an executive leader in industrial and energy efficiency industries, is COO at Lumileds. LED technology is part of the hot and fast-growing clean and green energy end-market many EMS providers have begun aggressively chasing in recent years as sustainability becomes ever more important to corporations and consumers. For EMS providers, the strategy allows for deeper penetration into the growing automotive electronics; medical, mobile phone, display (TV and PC) and lighting markets — each of which Philips Lumileds also serves. ODM and EMS providers can count on Glastra’s leadership delivering an ample supply of high-quality LEDs with few, if any, bubbles in the supply chain. Tucci is chairman, president and CEO at EMC, the world’s biggest maker of corporate data storage equipment. Tucci has EMC’s cross hairs on cloud computing, one of the fastest growing technology markets that delivers shared computing power combined with software and storage services from centralized data locations to desktops, notebooks, mobile handsets and tablets. Also a sharp practitioner when it comes to leveraging contract electronics manufacturing, Tucci, for years, has been an advocate of partnering EMC with several EMS providers to leverage various types operational expertise to help EMC meet its supply chain flexibility and operational objectives. Deny moving expense deductions to companies moving operations overseas and allow a new 20% credit for the expenses of moving operations back to the U.S.
Target Code Sec. 199 domestic production activity deduction on manufacturers who create jobs in the U.S. and doubling the deduction for advanced manufacturing technologies from 9% to 18%. Create a new Manufacturing Communities Tax Credit ($2 billion per year in incentives for three years) for qualified investments that help finance projects in communities that have suffered a ‘major job loss event’—i.e., where a military base closes or a major employer closes or substantially reduces a facility or operating unit, resulting in permanent mass layoffs. Extend the Code Sec. 48C(d) Advanced Energy Manufacturing Tax Credit for investments in clean energy manufacturing in the U.S. Provide 100% expensing of investment in plants and equipment. Close a loophole that allows companies to shift profits overseas from intangible property created in the U.S. Some corporate tax related mandates might include requiring companies to pay a minimum tax for overseas profit, and requiring permanent an expanded Code Sec. 41 research and experimentation tax credit. Muhlhauser is president and CEO with global EMS provider Celestica. A man with an often calming disposition and able to implement one of the best company-wide customer service programs we often hear about, Muhlhauser is responsible for reshaping Celestica’s sales force and emphasizing the word ‘service’ in customer service. It was also Muhlhauser who calmed Wall Street a few years ago by navigating the Company through troubles with its Mexico location. A visionary, Muhlhauser was also a big proponent to further build on Celestica’s early role as one of the first major players in the EMS industry to recognize the ‘sustainable’ opportunity and further develop internal expertise to service the clean / green technology market. Yeh is founder and chairman of global tier-1 contract original design manufacturer (ODM) Inventec. A long-time strategic thought leader in the electronics industry, with Yeh setting strategy in the boardroom, Inventec today is one of the world’s largest contract manufacturers of notebook computers. Leveraging his talent for anticipating marketplace needs early on, Yeh started Inventec thinking about and investing in solar-energy products before many industry contemporaries began doing so. And, Yeh is in process of leading the transformation of Inventec. This time around, Inventec will focus on clean tech products with a concerted effort to serve the fast-growing cloud-computing market. Foate is president and CEO at Plexus. Under Foate’s leadership, the Wisconsin-based EMS provider’s executive team has evolved into one of the best in industry. With facilities in North America, Europe and Asia, Foate built a diverse customer base leveraging O’ complex build capabilities. The Company serves high-mix / low-volume markets like networking; industrial electronics, defense / aerospace and medical with the latter offering remarkable product design capabilities. Dong is chairman of the China Electronics Enterprises Association (CEEA), the oldest and most influential organization of manufacturers of electronics products in China. Dong is intimately familiar with a high number of various Chinese electronics enterprise types and serves as the industry representative to local and overseas governments. Previously, Dong was director of the Center for Strategic Studies, China Electronic Information Industry Development Research Institute (a scientific research institution under China’s Ministry of Industry and Information Technology). Dong has considerable knowledge pertaining to economics regarding China’s electronics industry based on key market research and forecasts. Dong also has deep experience with China’s tech industry when it comes to strategic planning and development. Of noteworthy importance, Dong advocates focusing on quality and efficiency over scale when it comes to the enterprise. Donohue is president and CEO of the U.S. chamber of commerce. While Donohue can sometimes be a lightning rod for some business leaders and special interest groups in Washington, Donohue has a reputation for not sensationalizing issues – often backing up his positions with reasoning based on fact. Needless to say, not everyone agrees with Donohue’s views on American manufacturing, U.S. jobs and offshoring / EMS. “Outsourcing has made the manufacturing process more efficient and productive,” said Donohue in a 2007 interview with VentureOutsource.com. “Outsourcing has also made us work smarter and made workers able to take advantage of one of the United States’ greatest assets – the spirit of innovation.” We couldn’t agree more. A household name for sure, Dell is chairman of the board of directors and CEO of the organization that bears his name. Dell founded Dell in 1984 at the age of 19 with $1,000. Dell (the man and his company) revolutionized the selling of personal computers, using a direct-business model whose fundamental tenets included taking custom orders directly from customers, thereby reducing inventory and streamlining distribution. In 2001 when most computer manufacturers held 30 + days of inventory Dell held five. An innovative leader keenly aware of the changing competitive business environment, those is in EMS are familiar with Dell’s very clean online order entry and direct fulfillment practices directly tied to its external EMS partner factories. Lam is the founder and chairman of Quanta Computer. His electronics career began when Lam and some former classmates founded Kinpo, an EMS provider manufacturing calculators at the time, which Lam later built it into the largest contract manufacturer of calculators while serving as president. Lam later envisioned notebook computers dominating the tech sector as the next big product so Lam and a colleague later formed Quanta. Today, the top 10 original design manufacturer designs and manufactures for numerous tech OEMs. Lam is also driving the hot cloud computing market directly to end-users. Chen is president, CEO and managing director at Compal, a tier-1 Taiwanese ODM. An electronics industry veteran with more than 30 years of experience with noted expertise in notebook, display, and mobile phone design and manufacturing operations, it is Chen’s operational acumen enhanced by Chen’s unique ability to select and assemble highly competent executive teams able to carry out a single vision that makes Chen a respected leader with Compal plus at a number of other companies where Chen serves concurrently as chairman and president. Chen is also the director of Taipei Computer Association. Before being named CEO of Apple in August 2011, Cook was Apple’s chief operating officer responsible for all of the Company’s worldwide sales and operations, including end-to-end management of Apple’s supply chain, sales activities, as well as service and support in all markets and countries. If you live in a distant corner of the world and you have an iPhone, you can thank Cook. Cook’s ground breaking work in supply chain management led to Apples emergence as having one of the largest and most effective consumer technology product operations in the world Perhaps this is also why most EMS providers would like to have Apple on their customer list. Hsu is chairman at leading Taiwanese tier-1 ODM, Compal. Hsu also concurrently serves as chairman of more than 30 other technology companies, including Cal-Comp Electronics (another tier-1 ODM) and Kinpo Electronics, an ODM/EMS provider. Among Hsu’s numerous other accomplishments, included are appointment as honorary director-general of Taiwan Electrical and Electronic Manufacturers’ Association; deputy director-general Chinese National Federation of Industries, and national policy advisor under the Office of the President and advisor of the executive Yuan.